This is a selection of the standard cyclamen type plant with rounded fleshy leaves having a strong silver overlay to the surface. 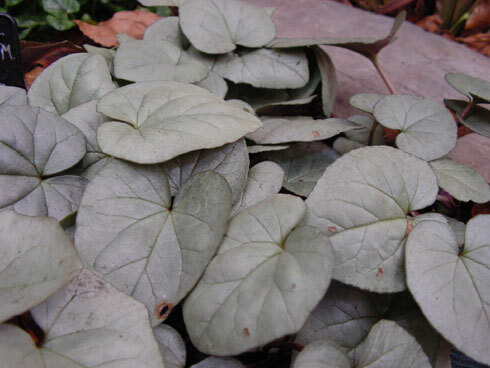 These leaves persist throughout winter until early spring. flowers are borne on short stems and rise to around 12 cms or so. One flower is produced per stem but many stems are borne per plant.